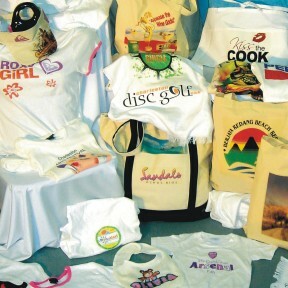 EnMart Adds Sublimation and Chromablast » Embroidery Talk Has Moved! This entry was posted on Tuesday, July 28th, 2009 at 11:14 am and is filed under EnMart News. You can follow any responses to this entry through the RSS 2.0 feed. Both comments and pings are currently closed. I understand what sublimation is but could you clarify more on what chromablast is? ChromaBlast is a ink created by Sawgrass that can be used for decorating light colored cotton. It is designed to be used with certain brands of Epson and Ricoh printers. The ChromaBlast process uses specially developed inks and paper, which when combined onto a cotton shirt in a heat press under high pressure, creates a nano-molecular bond with the cotton that is very nearly permanent and very long lasting.